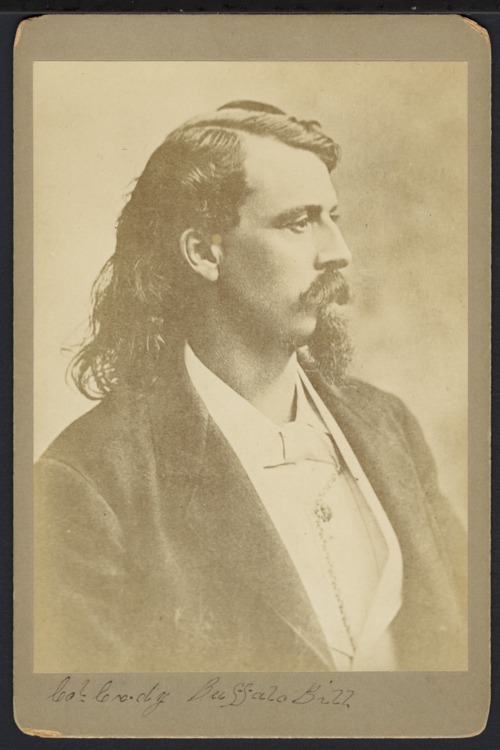 A portrait of William Frederick "Buffalo Bill" Cody who was born in Iowa but grew up in Leavenworth, Kansas. During the Civil War, William served in the 7th Kansas Cavalry Regiment. Later, he was chief of scouts for the Third Cavalry during the Indian Wars. He claimed to have worked many jobs, but he became world famous for his Wild West show. He got his nickname for supplying Kansas Pacific Railroad workers with bison meat.